One of the most effective ways to relay information to a prospect is to create a stunning, colorful brochure that is packed with the valuable highlights of what you can provide. 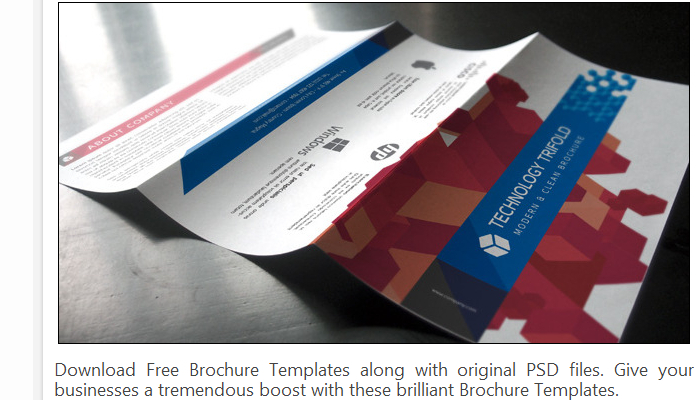 A good brochure can encourage business, but a bad brochure could drive it away! 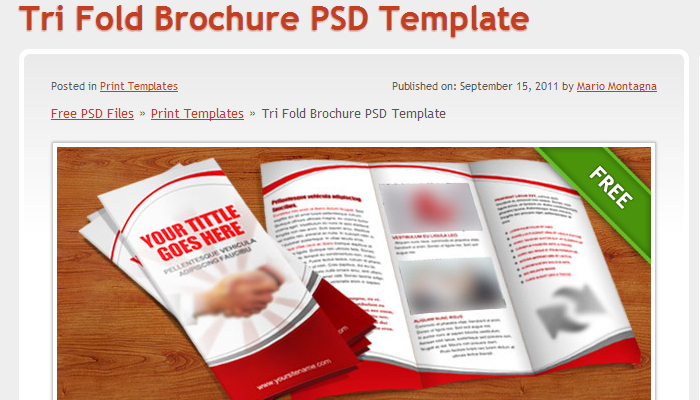 If you’re looking for free trifold brochure PSD templates that will look great and be a resource for you, then here are some of the best that are available right now. 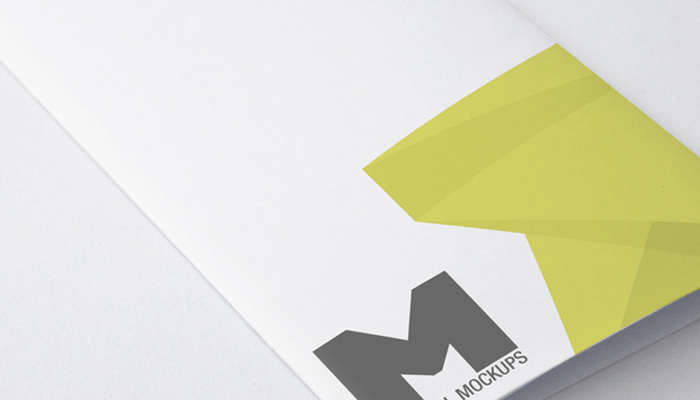 To give your business a boost, you’ll want to add a splash of color to your brochure design to make it visually attractive. You’ll also want a brochure template that is easy to input your own information, but still be easy enough to read so that the right information can be obtained at a glance. At BlogSizzle, you’ll find a wide variety of templates that are free to download and will help any business find a traditional, classic, or modern design that will effectively communicate a targeted message. That’s because this site is a feeder that will link you to many of today’s best providers of PSD templates. Premium designs help to speak measures toward the quality of what you’re trying to offer the general public. 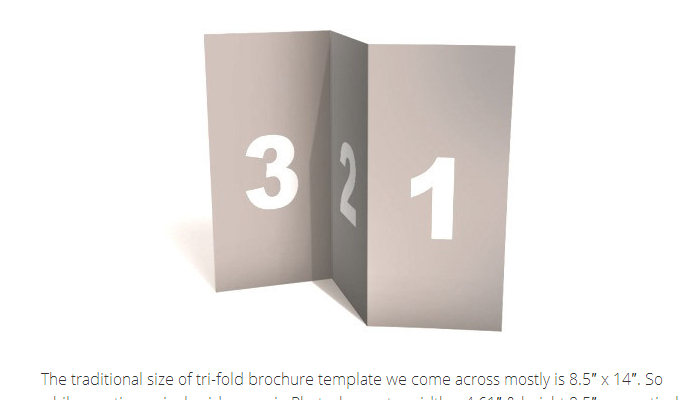 At Pixeden, you’ll find effective tri fold brochure templates that will help you get your message across in just one glance! Whether it is through the trendy box design that separates blocks of information to the elegant Doma template that is adaptable for almost any business package, you’ll find your needs are quickly and effectively met with these templates. 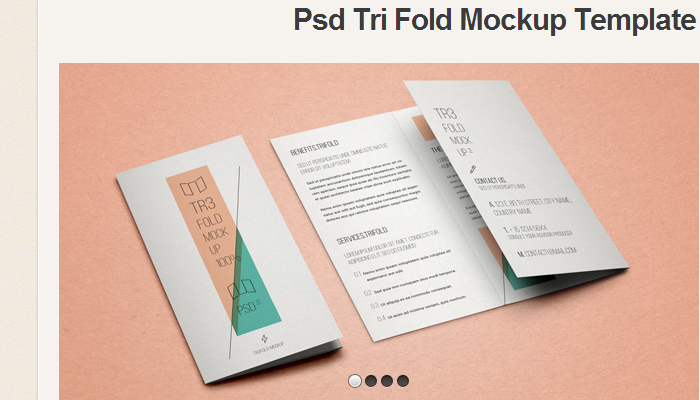 If you’re looking for good tri fold brochure PSD templates, then a website dedicated to free PSD files makes sense to visit. Not only will you get the brochure template that you want, but you can also find backgrounds, icons, cards, and plenty of PhotoShop resources that will help you create a customized look in just seconds! With a wide variety of templates that are perfect for almost any business field or concept, you’ll be accessing your artistic side in just seconds. Some of the best modern designs incorporate simplicity more than anything else. That’s the overall theme that you’ll see with this provider of templates, but the design is still attractive and works. Simplicity speaks to confidence and elegance in what is being communicated, and when you fuse the colors that pop from the page on this template with your information, you’ll be able to influence your target audience like never before. Creating an effective design goes beyond just the information that you have. You need info about the colors and how a reader will respond. You also need ways to create a brand that encompasses all of your marketing materials so that your brochures are visually similar to your web presence. You’ll find the templates you need at IsPSD, plus lots of good information about how to maximize the quality of your design so that you can always make a fantastic first impression.